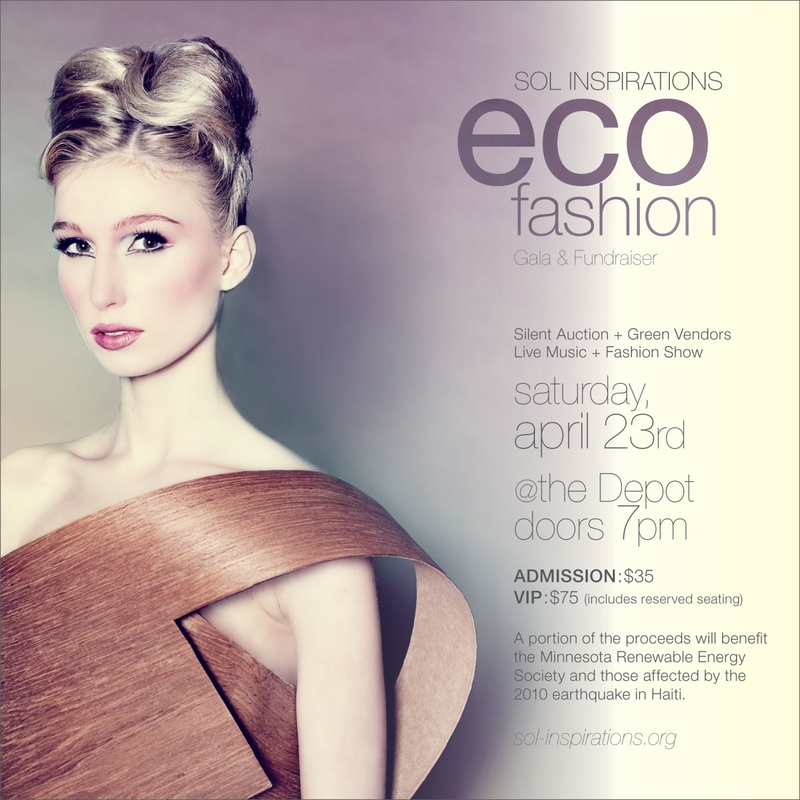 I'm ecstatic to be serving as a Host Committee member for the upcoming Sol Inspirations Eco-Fashion Gala and Fundraiser, along with the delightful Bridget Ulrich! Sure to be unlike any other event Minneapolis has seen, you can anticipate a great show that includes guest judges, amazing local designers, a cause that can't be beat, and much more. See below for more details and get your eco-friendly tickets today! A fundraiser and gala event to raise awareness about eco-fashion and to stage local and nationally known designers and green businesses and organizations, proceeds from the Sol Inspirations Eco-Fashion Gala & Fundraiser will benefit the Minnesota Renewable Energy Society and will also be used to help Haiti rebuild. Sol Inspirations will be Minnesota's first ever large scale Eco Fashion show and production featuring Ignite Models showcasing eco-friendly looks from local designers and boutiques as well as several nationally known clothing brands. The highlight of the show will be a design competition with a $5000 prize. With a silent auction, green vendors, DJ, Live Music and Eco Fashion show, the event will be the first of its kind as a call to action to get people thinking about how they can be green in their lives in a variety of ways, donate money for two fantastic causes and have a fabulous night out in Minneapolis.